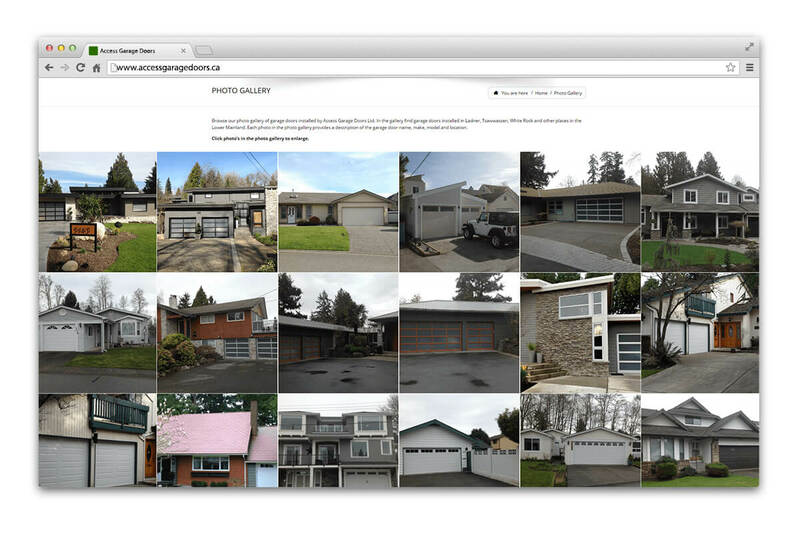 Portfolio | Access Garage Doors | NetClimber Web Design Inc.
We have worked with the Access Garage Doors company as a Search Engine Optimization (SEO) client for many years. 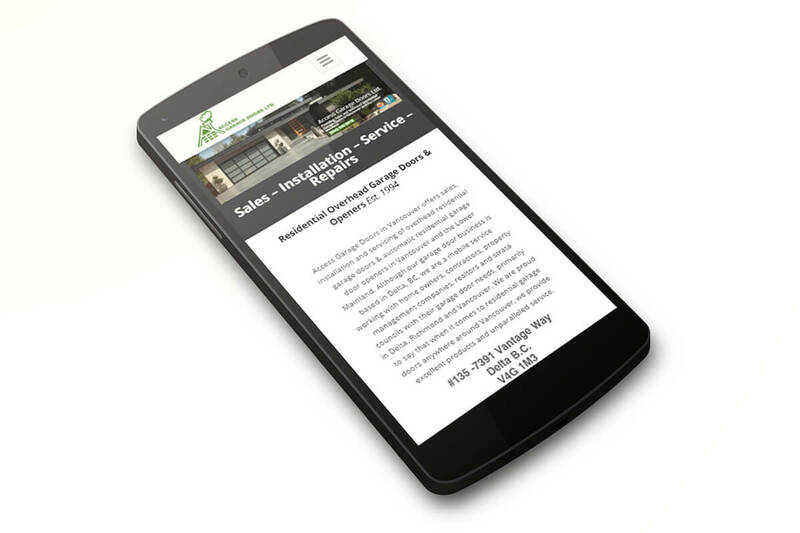 As an SEO monthly client, we were able to increase their presence on the web by building business listings, promoting local presence, optimizing website content and images, as well as monitoring overall website health (broken links and page speed). 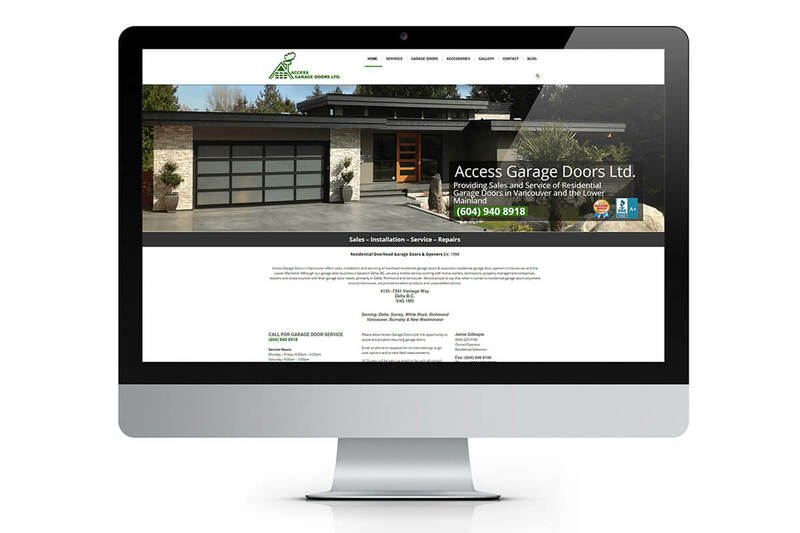 To help keep website redesign cost down, we used the Ausart WordPress theme as a template and customized the site to match Access Garage Doors’ brand. 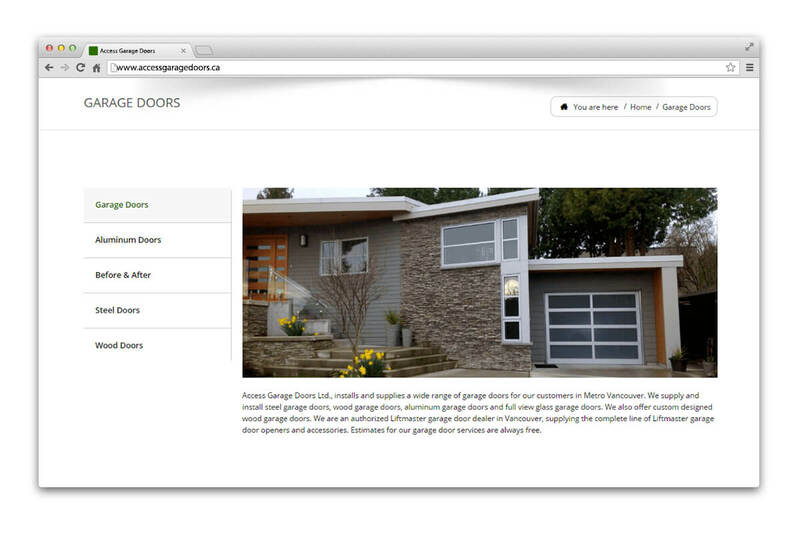 This site features a variety of different forms in order for potential customers to get in contact with Access Garage Doors. 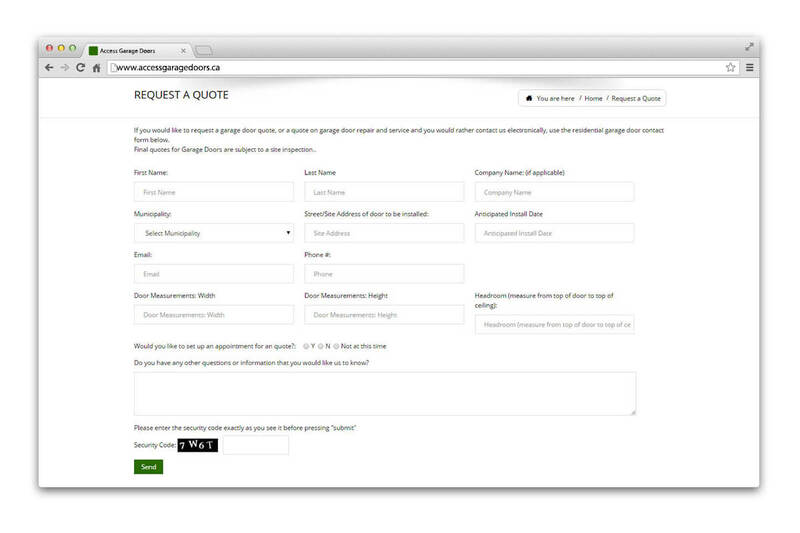 Features the variety of products and services that they offer.